As we eagerly approach the launch of Ryzen processors, benchmark leaks continue to pour in like cats and dogs. 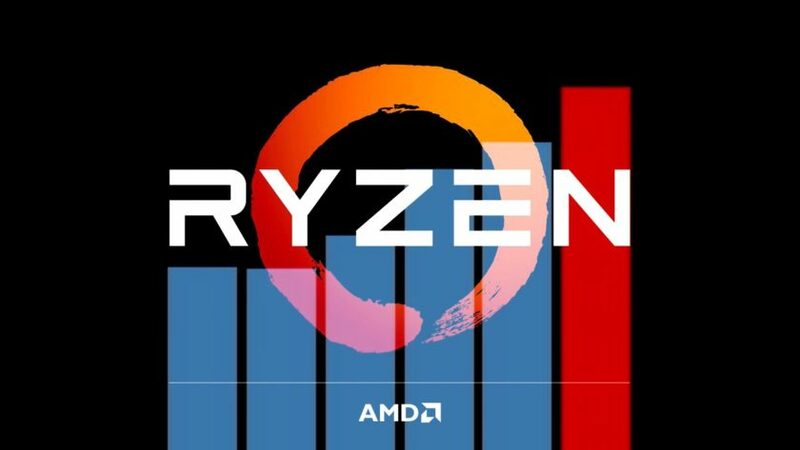 Every tech forum member and their mod is out posting (or reading) leaked benchmarks; Chinese, Greek, Nordic – any website would do as long as the Google translator can spot the word “Ryzen”! Here, at the Technoprozium, we don’t usually take fondly to rumors and leaks as those often turn out to be false, exaggerated or even artificial. The fervor surrounding Ryzen however is quite real and compelled us to gather a few latest and interesting leaked benchmarks to share with you. Next up is the result of Cinebench R15 – one of our favorite 3D rendering benchmarks. According to this report published by Videocardz, a Chinese site called Xfastest (surely they do justice to their name) is behind this leak. 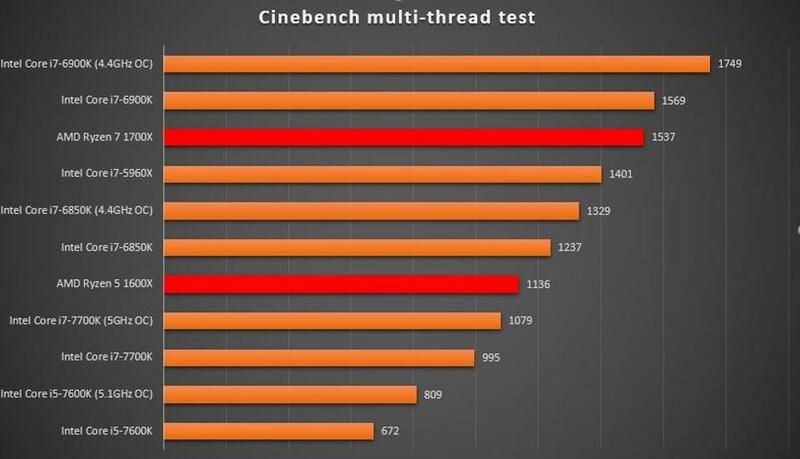 Here the same R7-1700X scores 1537 and 154 respectively in multithreaded and single threaded test. 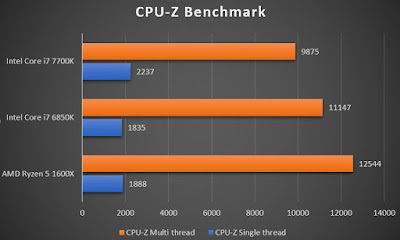 To put things in retrospect, Videocardz’s author’s own overclocked Core i7-6800K (@ 4.0 GHz) scored 1259 points in multithreaded mode, much lower than what Ryzen achieved. Forbes’s Antony Leather went a step ahead and compiled this list based on the aforementioned score and again AMD’s latest closely follows Intel’s greatest. Let’s move on to a more budget friendly segment and we have the 6-core/ 12-thread Ryzen-5 1600X on our radar. 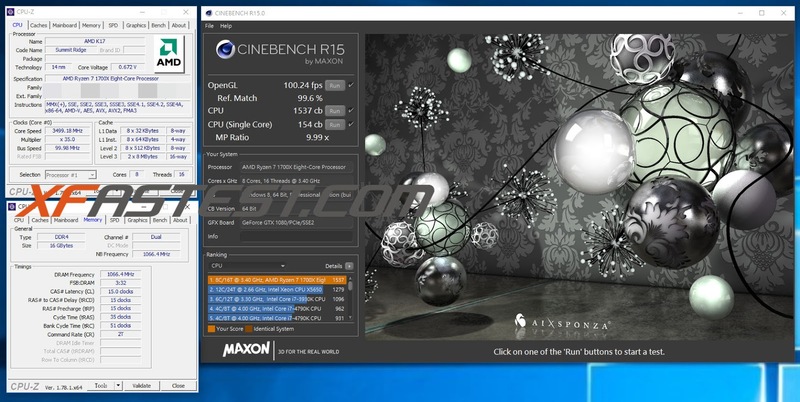 The source is once again WCCFtech and the data shows AMD’s mid-tier CPU leapfrogging past Intel's Core i7-6850K when tested using CPU-Z internal benchmark tool. Now keep in mind, while the Intel HEDT chip has the same core count and frequency range, it costs around 50K INR. Once released, R7-1600X should retail around 18K (not accounting for price gouging) at which price point it could be killer deal! 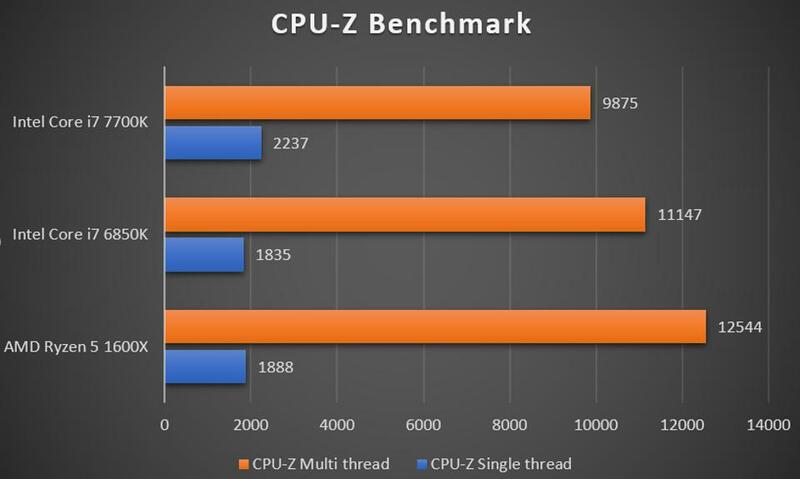 TheForbes guy once again put together a nice chart including the results of i7-7700K which once again leads the pack in single thread performance thanks to its clock-speed, but falls apart in the multithreaded one. As with any leaked info, take these with appropriate amount of salt! 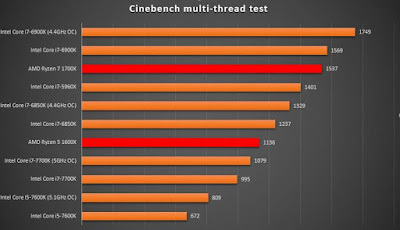 One thing is clear though: if the results shown here prove to be consistent with what reviewers find in the upcoming days then AMD engineers have really done what many thought was impossible – restoring performance parity with Intel at the core-level! When it comes to desktop processors, we believe Ryzen is going to pose a serious challenge for Intel at both ends of the spectrum. 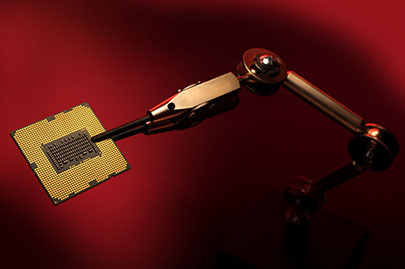 At the very entry level, Intel has this tendency to artificially limit hardware resources e.g. - i3s have only two physical cores and lack Turbo, i5s don’t have Hyper-Threading and before Kaby Lake neither did Pentiums. On the other hand, HEDT line runs on architecture that’s a generation or two older than mainstream yet demands a higher platform cost. It seems that AMD is gunning for these chinks in Intel’s otherwise thick armor and with Ryzen’s respectable single-core performance and high core count it might just succeed!